Find out how to roll a page back to a previous version in the CMS. Every time you Submit edits for a page, a new version is created. 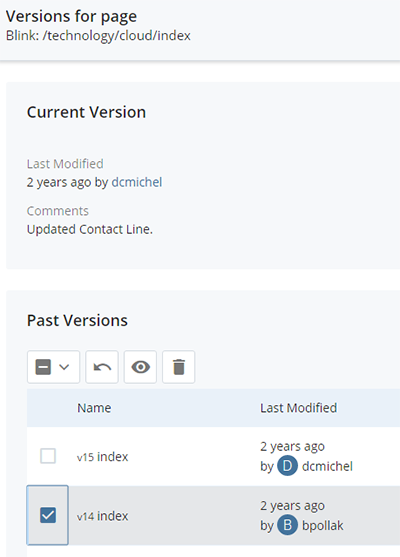 The CMS will keep the 20 most recent versions of a page, allowing you to roll back to a previous version. Note that using Save & Preview does not create a new version. Click the checkbox next to the version you want to use.